The crocus in the fields are done blooming. The daffodils are at peak blooming. The hyacinths are starting to bloom and we have to wait a bit for the tulips. The early tulips are in bloom but there are just a small number of fields. The regular tulips looks very green and the stem with the flower is not showing yet. We need some warmth and sunshine for them to grow. To see a short video of the hyacinths in bloom, have a look at our Instagram post. And for photos of the flower fields and my visits to Keukenhof please visit our photo album. The indoor tulip festival is at peak blooming at one side and the other will get there next weekend. The other flower exhibitions looks lovely. Make sure you visit the orchid show and see the lilies and amaryllis at the Willem Alexander pavilion too. The weather predictions are a lot better than last week. From tomorrow (Wednesday) the temperature is going up to 18 C on Friday. That is just what the flowers need to get growing and some will bloom too. For next week we still see the daffodils in the fields and we can see more white, pink and purple colors in the fields of the hyacinths. I don’t expect the regular tulips in the fields will bloom by next weekend, it was too cold for them last week. The tulips are still too green and they need to grow a bit before they can bloom. It all depends what the weather will do this week and next week. As soon as we spot the first regular tulip field in bloom we will let you know. At the Keukenhof I expect more hyacinths in bloom to give the park more color. Some early tulips are expecting to bloom outside just as more daffodils. When you visit this week make sure you visit the area around the bulb statue (next to the pond) and the indoor exhibitions. And when you get up the windmill you will see the daffodil fields from the air. For updates of previous seasons have a look at our website. Again a big thank you to all who shared, liked or commented my photos and post on social media. It actually helps a lot of other people to find the website. Much appreciated by not only me but also by a lot of other tulip lovers. Thank you so much! Wishing you a wonderful week and for every one traveling this week have a wonderful holiday! Tulips in Holland gives you information about the spring flowers and flower fields in the Netherlands. If you are interested to see what the current blooming status is have a look here for the weekly flower updates. Traveling to the Keukenhof this weekend? Amazing website so far…..congratulations, indeed! We are going to spend the week-end in Keukenhof and around that part of Holland (11-12.04.2015). 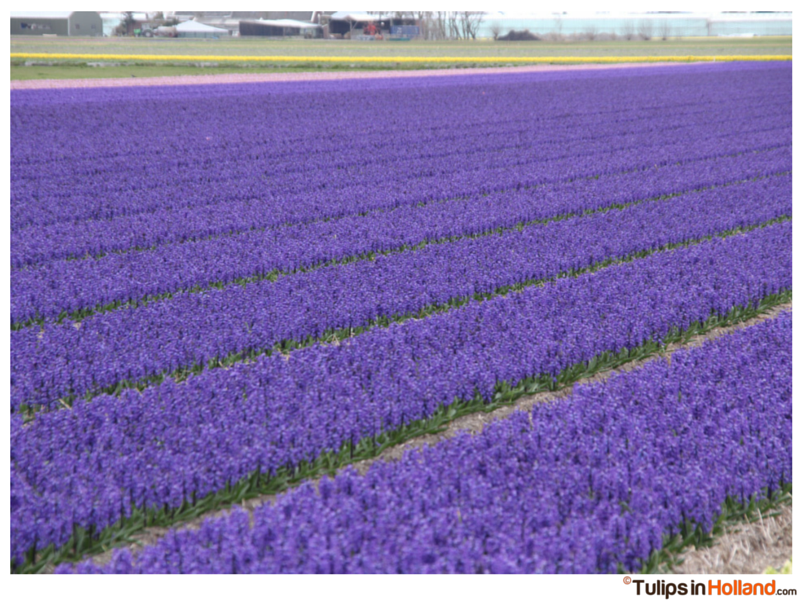 Can you advise us a nice itinerary by car what we could do to see the early tulips and hyacinths on the fields? Have a lovely time in the Netherlands! Thanks for all the information. It definitely helps me in timing my visit to the gardens. I have one question though. I do not know the name of the field, but once we go on top of the wind mill which is inside the Keukenhof gardens, we can see several fields. Could you let me know what is the blooming status on those fields? Hi Joe, visited the Keukenhof this afternoon but the line to enter the windmill was too long. I looked from the ground level and I could spot daffodils and red tulips in bloom in the fields. the fields close to the windmill are not in use for bulbs this season. Thanks for the post! Could you let me know which fields are close by to the Keukenhof gardens? I would do a walking trip to the fields after visiting the Keukenhof gardens! I might probably visit the gardens tomorrow. The tulips are just starting to bloom so I haven’t made a map of 2015 yet. This is a rout you can walk, When you exit the Keukenhof at the car park entrance (opposite of the main entrance) walk to the right on the roads. Becarefull there is no sidewalk and it is a 50 km/hr road. Walk on the side behind each other not to hinder the other traffic (cars and bikes) walk straight on and you will see fields of daffodills and tulips (red) next to the roads. Walk back te same way or walk a square towards the main entrance of Keukenhof. It is the purple lines on this 2012 map. https://www.flickr.com/photos/nring23/6574453655/in/set-72157628573219235 only there are less fields compared to 2012 now. Ok I had been to the garden yesterday. Honestly speaking, I did not like it this time. May be I was a bit to early to visit it. I would say it is only 50 to 60% of the flowers are in bloom. Being very sunny, it was overly crowded. For all those that wants to go to the Keukenhof gardens, my advice would be to go during a week day! The fields close to the windmill was almost empty! I was expecting it to be a bit colorful. Having missed to see the tulips in the field for the last two years, I was expecting that I could see some colors, but we were disappointed again. The first year that I visited Keukenhof was in May, the second year was before easter. Timing seems to be very crucial. If I visit the park next year, I will for sure visit it between 25 and 30th of April. Thanks for this blog which helped people like to to plan our visit! Hi Joe, sorry to hear your experience visiting the fields and Keukenhof. Timing to see the fields in bloom is crucial. in 2014 we had the first fields up by the first week of April, now they have just started to bloom. And in 2013 we had to wait till the first week of May. It is different every year. It all depends on the weather during winter- and spring time. If it is cold we have to wait longer than when it is warm. Our weekly update tries to provide as much information to decide for you on the right timing. I agree that the fields next to the Keukenhof look a bit empty compared to other years. It is not possible to plant spring flowers year after year at the same spot, therefore the farmers rotate the fields. Luckily in the direct surroundings of Keukenhof there are lots of other fields, but you need to rent a bike / car when you want to see these fields. They are not on walking distance from Keukenhof. I took this photo yesterday morning from the windmill at Keukenhof. There are fields but more in the distance. Thank you for your kind words about my blog. Hope to see you next year again! I am counting the days before my visit to Keukenhof. I will spend the first week of may in Amsterdam and I am planning one full day to Keukenhof. I am so excited and I hope to see the tulip fields. Once the tulips will bloom do you think they will last for 2/3 weeks? Hi Saira, The tulips are starting to bloom in the fields by last weekend. Yes, they will be in bloom next weekend too. And it is a good idea to rent a bike to see the fields in the flower field area. Hi Nienke, thanks for your efforts with the site! We are in the Netherlands from mid-may, do you think this will be too late for some of the fields to be in bloom? Prefer to cycle to different fields, than go to Kuekenhof. I am sorry to tell you that the time window for seeing tulips will be gone by mid May. 🙁 The keukenhof will be open till the 17th of May so you might see some late tulips in the park. In the fields the tulips will be headed just after peak blooming. I expect, based on the current weather forecast, that they will start around the 1st week of May. By mid May there won’t be fields left. Have a wonderful time in the Netherlands! I am debating between the weekend of 25-26 Apr and 2-3 May. Which would be better? I understand 25th may be crazily busy due to the festival but would 2-3 May become too late for tulips? So does that mean I won’t be able to see the tulips in full bloom on 2-3 May weekend? I am happy to face the crowd, but would prefer to see the tulips in full bloom as this is possibly the only chance I would get. Hi Avantika, when the tulips start blooming and get to peak blooming is decided by nature. It depends on the weather, the temperature, etc. The tulips are just starting to bloom, and not all the fields are starting the bloom at the same time. When the tulips reach peak blooming the farmers decide when thy are going to head the tulips. They won’t head all the flower fields at the same time but within 1 or 2 weeks all the fields are headed. From now till the end of April the fields are going to look lovely and after peak blooming the first fields are going to be headed. At Keukenhof the tulips will look lovely till they are done blooming (they won’t be headed after peak blooming). There is a chance that some fields are headed from the first week of May. You can visit during parade weekend but be prepared for huge crowds. It is not possible to drive along the fields by car (huge traffic jams). There might be a long line for renting a bike, but you will have a chance to see the flower parade. To go around in the tulip fields with a rental bike, I don’t need to buy the entrance for the Keukenhof, is that right? Is there also a “standard route” or is it easy to get by? You don’t need entrance for Keukenhof to rent a bike. see more about bike rental here http://www.rentabikevandam.nl/keukenhof_en.html and you find a route on that page too. Great site! I have booked my travel to Amsterdam in the first week of May this year. Is there any chance of seeing colorful tulips fields. I am going there primarily for tulip fields. Would be sad if I cannot see anything. The tulips in the fields are in bloom now so it is not sure if they are in bloom at the first week May too. It all depends on the weather. Keep en eye to the weekly tulip updates. Sign up for the weekly tulip update (you will receive it on Tuesday morning) or read the updates on Wednesday here on the website. I am in Amsterdam tomorrow and will be there until Saturday. Could you please suggest where I can go to see tulips in fields. Hi Pranay, You can see some fields just across the main entrance of Keukenhof. When you bike a bit further out you can see some fields around the Delfweg. 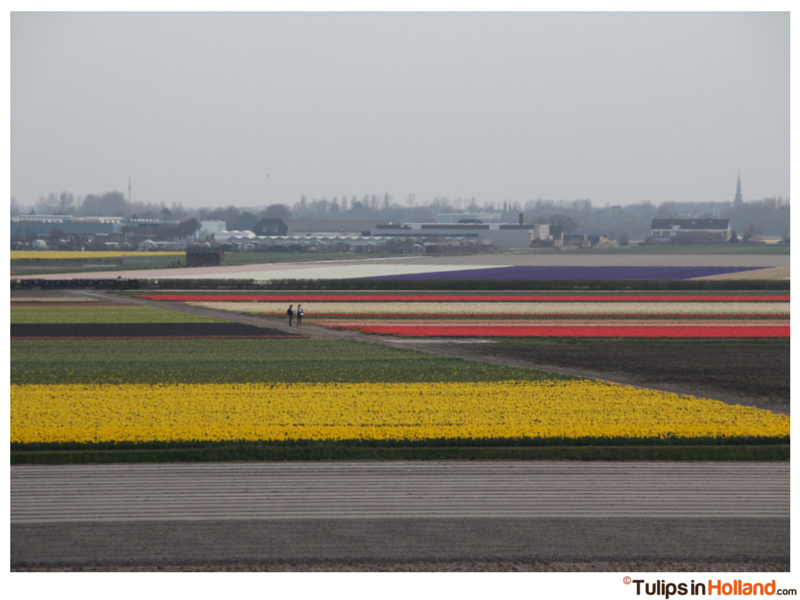 Last Friday the farmers started the topping of the tulips so don’t wait too long if you want to see fields in bloom. The keukenhof look gorgeous at the moment. Good morning. I have had a wonderful time at Keukenhof yesterday something I will cherish throughout my life. Only regret being not able to see tulips in fields. Unfortunately with my Neck I cannot cycle around so it has to be walking. I couldn’t go too far after keukenhof yesterday. Do suggest if I can take a bus somewhere and walk around to see tulip fields. That would be great. I am here till Saturday. Your advice would be helpful. Hi Pranay, It is a bit difficult to advice you towards the flower fields because they are getting headed fast. The fields that are still in bloom now, can be headed in a couple of hours. And that said … most busses are driving more along the fields (for example between Lisse and Leiden) And for the fields a bit further away it is not easy to reach by bus. Have you seen the fields just across the main entrance of Keukenhof? I am happy to read you have enjoyed Keukenhof yesterday! Thanks for your advice Nienke. I guess I’ll let it pass this year … may be come back next year with better planning. I did see the field at the entrance. That was beautiful.